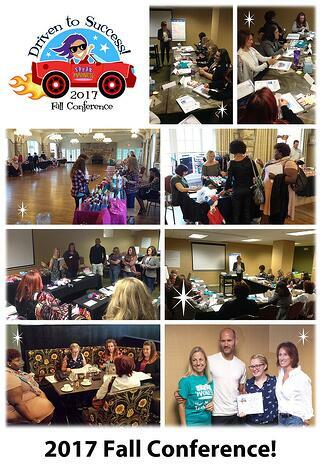 2017 Fall Conference - Driven to Success! The Driven to Success Fall Conference was held this past October 3rd through the 5th at the beautiful and historic Elms Resort and Spa in Excelsior Springs, Missouri. Exclusively for Shear Madness Franchise Partners, our 2017 Conference featured many great speakers who shared ideas and resources on how to help their business grow into the next year and beyond! In addition to valuable training seminars and plenty of opportunities for networking, Franchisees were also able to meet vendors one-on-one at a salon vendor show in order to view the latest in exciting hair products, toys and other great retail for their location. The Driven to Success Fall Conference also featured Cindy Graziano of Gray Wolf Consulting. Cindy has been a corporate trainer and designer for more than twenty years, and has worked extensively with companies and non profit organizations in assessing organizational issues and providing employee development solutions. Her firm also provides counsel to teams as well as individuals through Executive Coaching. Her management and leadership consulting services have taken her across a wide range of companies domestically and internationally. Some of the companies she has consulted for include Entertainment Weekly, Sports Illustrated, Time, Inc., Wells Fargo, Royal Bank of Canada and many others. Our 2017 Conference also featured plenty of opportunities for Franchisees and managers to get to talk with each other, engage in team building exercises, and just relax and have fun. This included a Welcome cocktail reception held on the first evening, with a special dinner with vendors on the last night of the conference. In between, attendees could relax by the pool, get a massage at the spa or explore the expansive interior and exterior grounds of the historic Elms hotel. Also, congratulations to all of our winners who were recognized at our 2017 Driven to Success Fall Conference! Todd Danni of Amherst, New York received the award for Franchise Location of the Year, Carolyn Vanderstaay of Olathe, Kansas received the Number 1 Ranked Location in the System, Jim and Janon Otto of Lee's Summit, Missouri received the Customer Service Award, Erin Nanke of Des Moines Iowa received the Top Franchise Location for Birthday Parties (as well as the Top Location for Retail and Ear Piercing for her Ankeny store), Kimberly Abeyta of Albuquerque, New Mexico received the award for Best Place for a Children's Haircut and Jackie Perkins of Humble, Texas received the Top Franchise Location for Community Outreach. Awesome job! Janon Otto, CEO of Shear Madness Franchising, LLC noted that, "The Conference was an incredible venue for so many things! Franchisees and Managers LOVED learning from each other, Cindy Graziano from Gray Wolf made her training SO relevant to all of our businesses and her presentation made it easy to remember what to apply. The Vendor information shared helped all attendees diversify their inventory selections and choose top sellers for our stores! So many other great things occurred it is hard to sum up in a short sentence!" Top 10 Questions: Will My Franchise Make Money? I know what you're thinking. If I buy a franchise, will my franchise make money? Here are 10 tips to get through the "clutter" of franchising information and increase your odds of franchise owner business success! 1. What do I Enjoy: Make sure you sit down and analyze yourself. Choose a business that you can see yourself doing, enjoying and excelling at. 2. Avoid Fads: Make sure the business you choose is sustainable, creates a reoccurring revenue model and is a valuable and needed service. Will this business be around in 5 or so years? 3. Be Wary of Sales: Franchises that have lots of existing units for sale could be troubled. If it's such a great business to get in why are people getting out? Check websites that list franchises for sale. 4. Use a Scam Filter: Google the name of the franchise and the word "scam". This may lead to complaints. 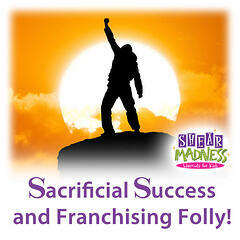 All franchise systems have a few unhappy franchisees, the key words here is "a few"! 5. Make Sure the Franchisor is Running the Concept: Yes, you heard me correctly, many franchisors are not currently running their own concept and some have never run the concept! If the franchise needs to test market a new product or service, then guess who the guinea pig is? 6. Happiness Counts: Franchisors will almost always guarantee you great service and support. Call the franchisees, if they aren't happy, chances are you probably won't be either, and vice- versa. 8. Study the FDD: Item 7, the cost to build out and Item 19, the financial performance representations are important, but so is the Item 20 which will give you a history of how many units have closed. If you are one who really hates surprises, then look at the Item 6 and what additional fees you may be paying. 9. Go to Discovery Day: In my humble opinion the best money you will ever spend is before you buy a franchise. Did you meet your spouse before you married them? You are entering into a business agreement with someone who is agreeing to give you the training and support you need to succeed, so go meet these people and see if they are the kind of people you want to have a long term relationship with. 10. Run the Numbers: You know, I am amazed how many people never run the numbers. You should be able to look at the item 19, or call the franchisees, and get enough numbers to run a proforma. Make sure you don't have unrealistic expectations and understand what you will make if you own a successful location. 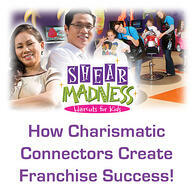 I hope these tips help and you can become as successful as our franchisees at Shear Madness Haircuts for Kids! Meet some of them by reading one of our recent articles (right here) that shares a little bit about who they are! Additionally, Shear Madness Franchising franchises Shear Madness Haircuts for Kids salons. We have worked with franchise stores in providing franchisee support (in order to encourage continual growth and business success), and have sometimes seen the unexpected happen! When it does, we help by identifying and helping with challenges that might arise for franchisees. Additionally, we work to present options that can help prevent these events as well. As many franchise owners may not have opened a business before, having someone who can advise them is a significant advantage of franchise ownership!